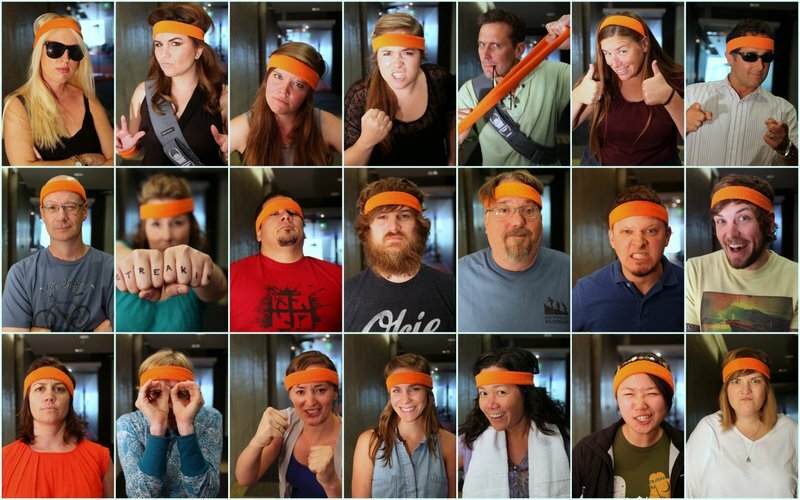 Nothing says we mean business more than an orange sweatband. For now, we’re busy plotting our strategy and mentally and physically preparing for the month of August (see video below). We can guarantee you that come Wednesday, when we are not in the office, we will be out frantically trying to log one…more…find. And we know that many of you will be doing the same! Over the next four weeks, we will be sharing our stories – our triumphs and failures, bumps and bruises, and (of course) all the muggles and nanos – as we log our way one day at a time to success. We are proud to be a part of the global geocaching community and we are honored to be able to share in this crazy month of geocaching with you …we just hope that we can keep up! Most of all, we are excited to hear your stories because we know they will help to inspire us when the going gets tough. Best of luck to you and yours.